Voodoo queens, headless ghosts, war heroes and singing spirits occupy buildings across the state of Louisiana. Forget those “spooky” haunted houses that rely on jump scares from people in rubber masks. 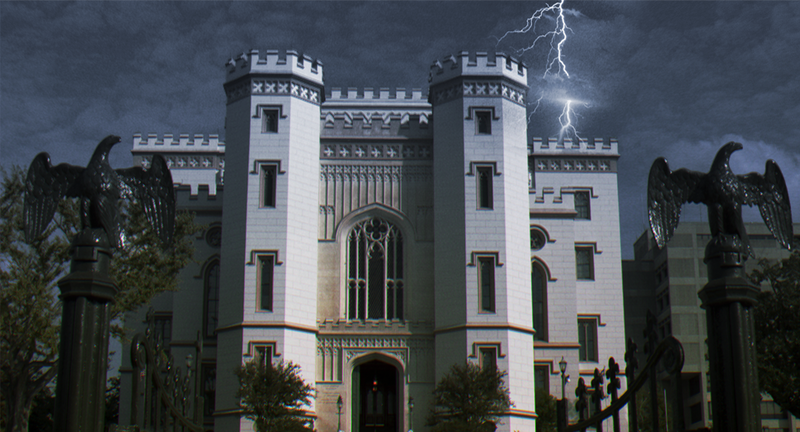 Make your way to one of these real haunted places in Louisiana for a real fright. 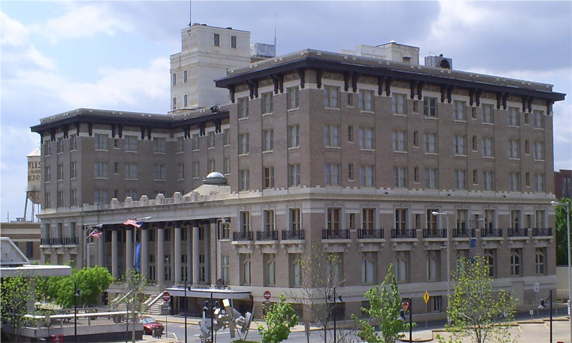 The Bentley Hotel is a classic hotel located in downtown Alexandria that opened in 1908. It reopened as Mirror Room Lounge on May 1, 2015. This hotel is said to be haunted by several ghosts, including the original builder Joseph Bentley, who passed away on the third floor. They say you can see him wandering around the halls of the building during the day. Visitors to the hotel also claim to hear the voices of Generals Patton and Bradley discussing war strategy in the Mirror Room Lounge. The hotel was featured on an episode of Ghost Hunters in 2011, where they had many strange, unexplainable things happen to them. Image courtesy of Haunted Nation. Located at 924 3rd Street in Downtown Alexandria, this upscale restaurant started as a jewelry store in 1865 by Scottish immigrants in Louisiana. When they decided to turn it into a restaurant in 1931, they wanted to allude to the history of the building. 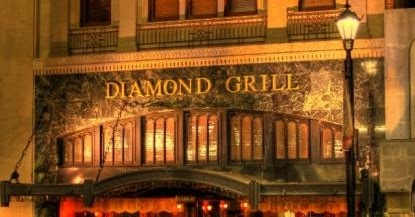 The urban legend of Diamond Grill says that an old jewelry store employee named Stella was unhappy that they changed from being a jewelry store, and she now haunts the restaurant. The restaurant staff have said that glasses fly off shelves, spooky sounds are made in the middle of the night and doors will randomly lock and unlock on their own accord. Image courtesy of SyFy’s Ghost Hunters. Legend has it that former director Leslie “Les” Whitt now haunts Alexandria’s zoo. Les devoted his life to Alexandria and the zoo, pledging to turn the zoo into something special. He passed away of a heart attack 6 days before his 56th birthday, and visitors claim that he still has unfinished business in the zoo. It’s said that you can hear his voice and spot his spirit moving around in the zoo. You can’t talk about haunted Louisiana places without mentioning what has been named one of the Most Haunted Places in America. Located right in St. Francisville, Louisiana, the Myrtles Plantation houses 12 restless spirits. The most famous of these is named Chloe. In 1992, photographs were taken of the plantation which showed the ghostly figure of a girl standing between the buildings. Another spirit, William Winter, was a lawyer that was shot to death by a stranger in the plantation. He later died on the 17th step of the stairs, and visitors and employees claim you can still hear his dying footsteps. Rumor has it that Pierre Couvillion, a late legislator from Avoyelles Parish, had a heart attack during a debate in the Old State Capitol. He passed away and was buried near his home in Marksville, Louisiana, but people claim that he still occupies the building. Security guards have claimed to have motion detectors go off on their security cameras in a row, as if someone is moving room-to-room. An even creepier event happened in 2009, when paranormal investigators picked up the voice of an entity singing You Are My Sunshine. Here’s an urban legend that can be backed up by almost any LSU alumni or student. There are two versions of this story revolving around a resident that took her own life in the infamous Room 312. One version says that a girl shot her boyfriend, then decided to take her own life. The other says that the girl jumped from the window of her room. While there aren’t any stories or police reports to back this story up, students swear by it, and many residents at Pleasant Hall claim to feel her presence, see her or have seen the door to Room 312 open and close on its own. 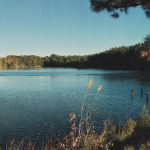 Image courtesy of Louisiana Travel. The USS Kidd is a WWII and Korean War ship that’s open to the public for touring. This naval destroyer has a rich history, but most people will tell you about the kamikaze attack that killed 38 sailors and wounded 55 others on April 11, 1945. The USS Kidd was reclaimed after the attack and is now docked in the Mississippi River in Baton Rouge as a naval war memorial for those that died. Visitors claim to see the spirits of the fallen uniformed sailors throughout the ship, ghostly arms and legs with nobody attached to them and voices from sailors in the sleeping quarters. Image courtesy of Shreveport Times. 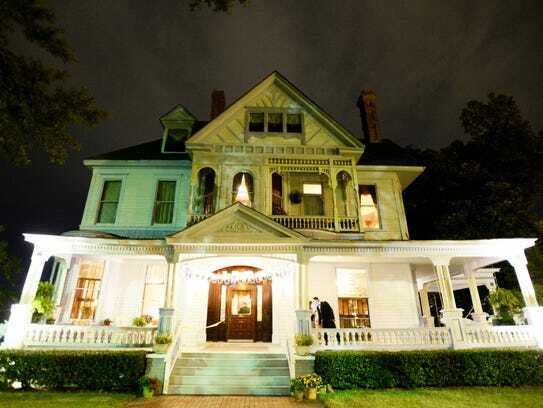 This Victorian-style house was built in 1897 for a beer distributor named Lafayette R. Logan. Local legend said that 11-year-old Theodora Hunt leapt to her death from the front window of the attic in 1904, only seven years after it was built. The current owners, Vicki and Billy LeBrun, now keep a log of all the creepy things that happen in the house, like items that move from their spots, a door that locks and unlocks itself and the giggles of a young girl in the attic. There have even been sightings of ghosts in the attic window, right where the little girl fell to her death. Cemeteries already have creepy reputations, but Oakland Cemetery at the intersection of Milam Street and Grand Avenue takes the cake. The cemetery’s celebrity spirit, Nathan Goldkind, is said to haunt the area around his grave. 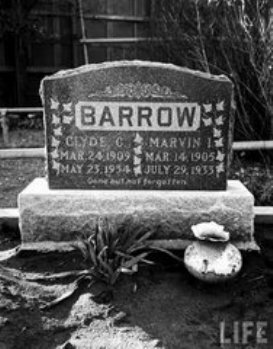 He was buried at Oakland after being murdered for cheating during a poker match by Gus Logan. Locals say his spirit won’t rest due to his killer being pardoned from death row. He has a penchant for the ladies, and many women on the tour claim to have their hair played with when they pass his grave on the ghost tours! 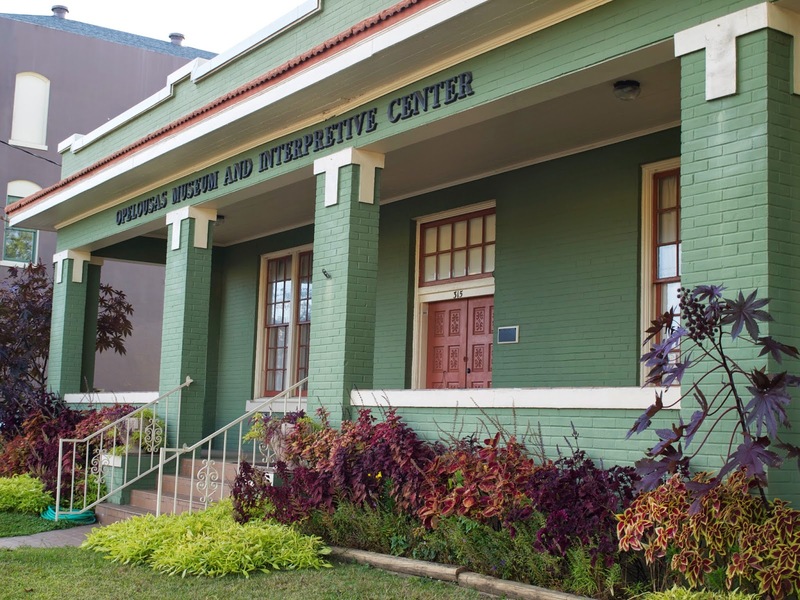 Shreveport is apparently a hotbed for haunted locations. One of the creepiest sites is the old George Washington Carver School, also known as Ellerbe Road School. It opened back in 1957, but closed their doors in 1973 due to low attendance. An urban legend in Shreveport says that one of the janitors used to torment the kids until he disappeared, and now their spirits haunt the building. Image courtesy of News Star. 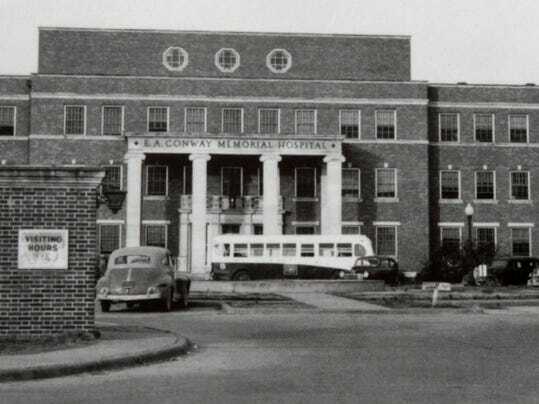 The Old E A Conway Memorial Hospital (not to be confused with the new hospital of the same name) was built in 1941 and originally named Monroe Charity Hospital, but was renamed to honor the Louisiana Secretary of State E.A. Conway in 1948. The hospital served the city of Monroe for years until it was abandoned in 1987. This creepy, run-down building is said to be home to the spirits of the patients they lost at the hospital. Avid ghost hunters in Louisiana regularly visit the site, with some claiming to see patients walking the halls, hearing doors slam closed and old, rusted hospital beds creak as if they were being moved. Image courtesy of Library of Congress, Prints & Photographs Division, LA,49-SUN.V,1-2. While this plantation is now a gated private residence, lovers of the paranormal still talk about and attempt to visit its haunted grounds. During the Civil War, two battles were fought near the plantation: the Battle of Buzzard’s Prairie in October of 1863 and the Battle of Bayou Bourbeaux in November of the same year. There were hundreds of deaths during these two battles, and visitors claim to smell sulfur from the gunshots and see the spirits of the fallen Union and Confederate soldiers on the plantation grounds to this day. About halfway between Monroe and Shreveport sits the small town of Gibsland, Louisiana in Bienville Parish. The infamous couple Bonny and Clyde died here on May 23, 1934, when police from Louisiana and Texas cornered them in their stolen car, killing them both by firing more than 100 bullets at their car. Visitors and residents claim that if you go to the site of their death, located on Route 154 about 7 miles south of the Ambush Museum, the ghosts of Bonnie and Clyde make themselves well-known. They say you can spot their ghosts lingering in the woods and ghostly apparitions will appear in photographs taken in the area. Manhein, M. H. (1999). The bone lady: Life as a forensic anthropologist. Baton Rouge: Louisiana State University Press. In the outskirts of Zachary, Louisiana is a small cemetery with only one above-ground grave. This grave holds the remains of a woman named Alice, who many people claim to be a witch. 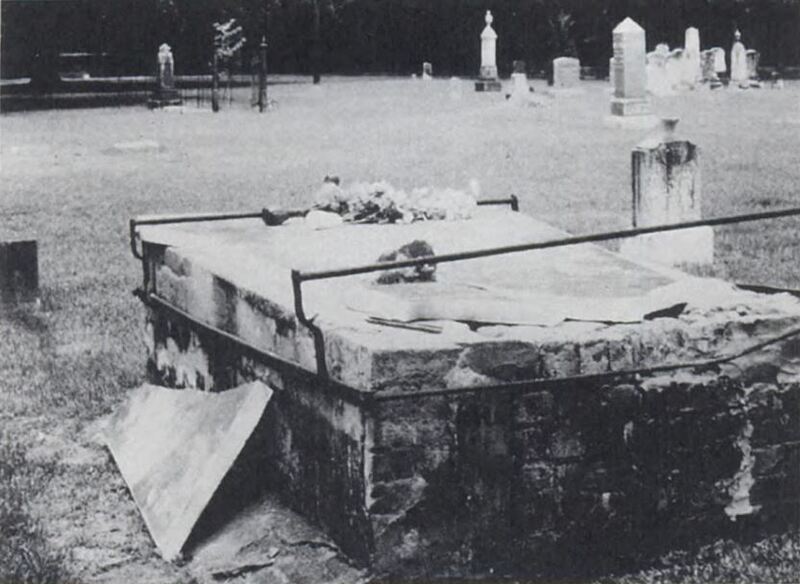 The eerie story came to life in the 1950s and 1960s, when the large stone grave’s marble slab covering was removed on three separate occasions, and her remains were removed and left outside of the grave. Large, heavy iron bars were placed on the grave to “hold her spirit in,” but were removed, leaving her remains outside the grave yet again. Locals claim you can see her walk around the cemetery at night, and you can hear her voice calling for her loved ones. Image courtesy of Pass Investigators. While the official name for this cemetery is Miller Cemetery, locals call it “Headless Cemetery” due to its resident ghost that roams around the graves. Residents claim that you can see the ghost of a headless man wandering around the cemetery at night. 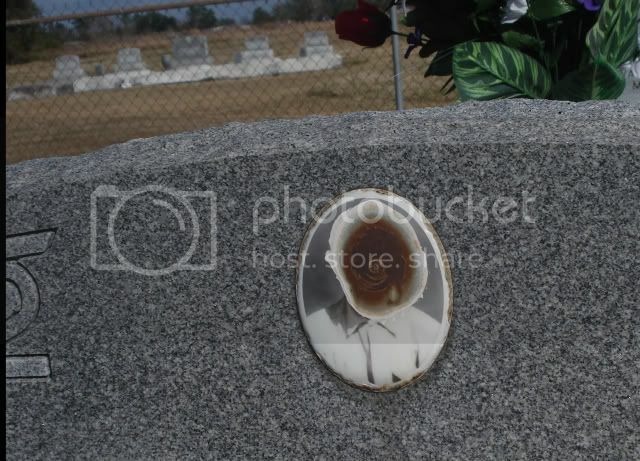 It’s said that the ghost haunts the place because nobody remembers his face due to the unrecognizable picture on his tombstone. As if a headless ghost wasn’t enough, there are many reports of cars suddenly dying or having issues right on the gravel road by the cemetery. Image Courtesy of Scared Yet. The Calcasieu Courthouse in Lake Charles is more than just a courtroom; local legend says that it’s home to a restless spirit by the name of Toni Jo. Born Annie Beatrice McQuiston, Toni Jo, known in town as “The Tigress,” was the first female in Louisiana to be executed in the electric chair. This building houses some great historical relics, including the barber chair where the infamous Clyde Barrow got his last haircut, but it wasn’t always home to history. It used to be a funeral home. Rumors have it that spirits now haunt the museum, and eerie things have been experienced there by visitors and employees. Doors open and close on their own, the smell of old perfume fills the air when nobody’s there and antique dolls will move around in the display cases on their own. Image courtesy of Haunted Houses. T’Frere’s House used to be a plantation and is now a bed and breakfast, and it has plenty of scary ghost sightings reported during its history. The legend of T’Frere’s House is that a woman named Amelie Comeaux jumped into a well on the property after losing her husband and child to yellow fever, and afterwards she was buried on the property. An exterminator for the building claims to have seen the ghost of a girl in the attic asking him to “veins voir,” which is French for “come see.” The original owner of the bed and breakfast removed the piano that used to be in the house, claiming that the music woke guests up in the middle of the night—even though nobody was playing it. 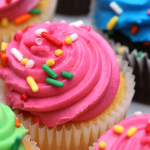 Image courtesy of Hole in the Donut. 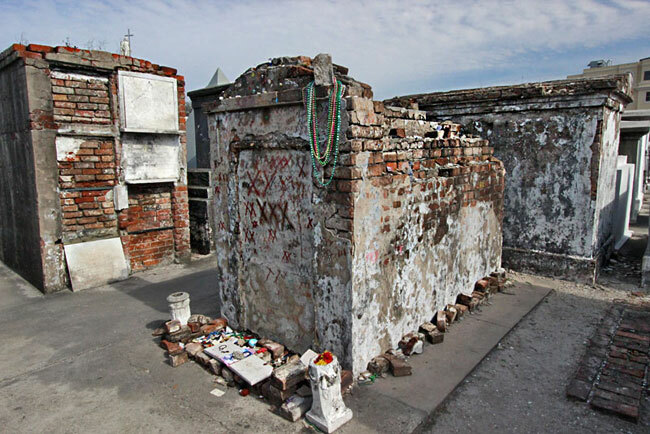 It wouldn’t be a haunted places list without mentioning St. Louis Cemetery in New Orleans. If you walk among the dead and view the crypts, you’ll eventually come across plot 347. 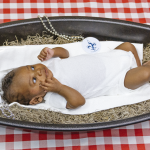 X’s are written all over the tomb, and trinkets and gifts are laid out for all to see. This is where Marie Laveau, the infamous voodoo priestess, is laid to rest. According to people from around the world who come to visit her grave, she isn’t doing much resting. She is said to still haunt the cemetery, and if your offering to her is good enough, she’ll even grant wishes for you. Have you visited any of these haunted places or have one to add to the list? Let us know in the comments!